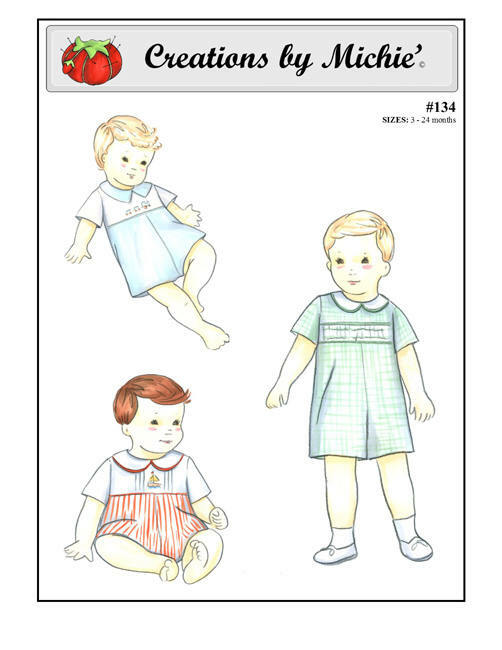 The Baby Romper with Yoke is a classic look with several style options. 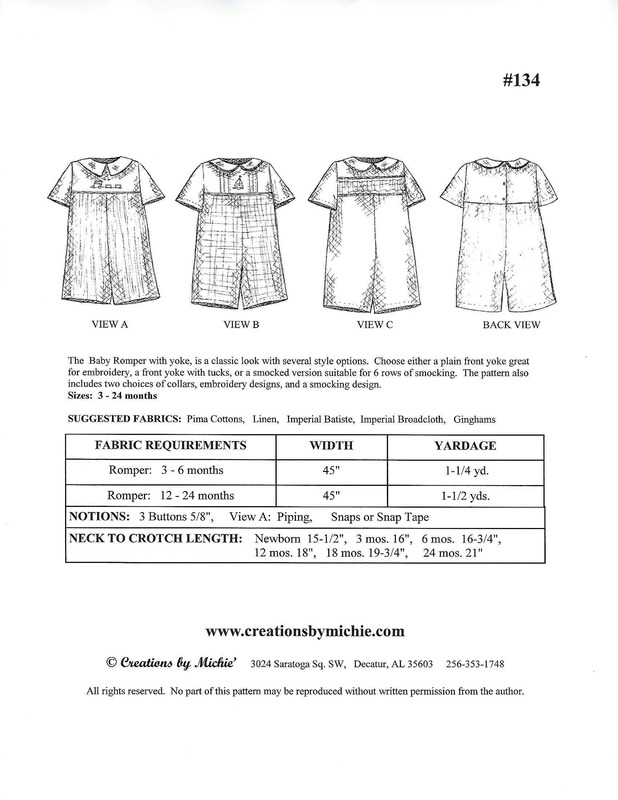 Choose either a plain front yoke great for embroidery, a front yoke with tucks, or a smocked version suitable for 6 rows of smocking. 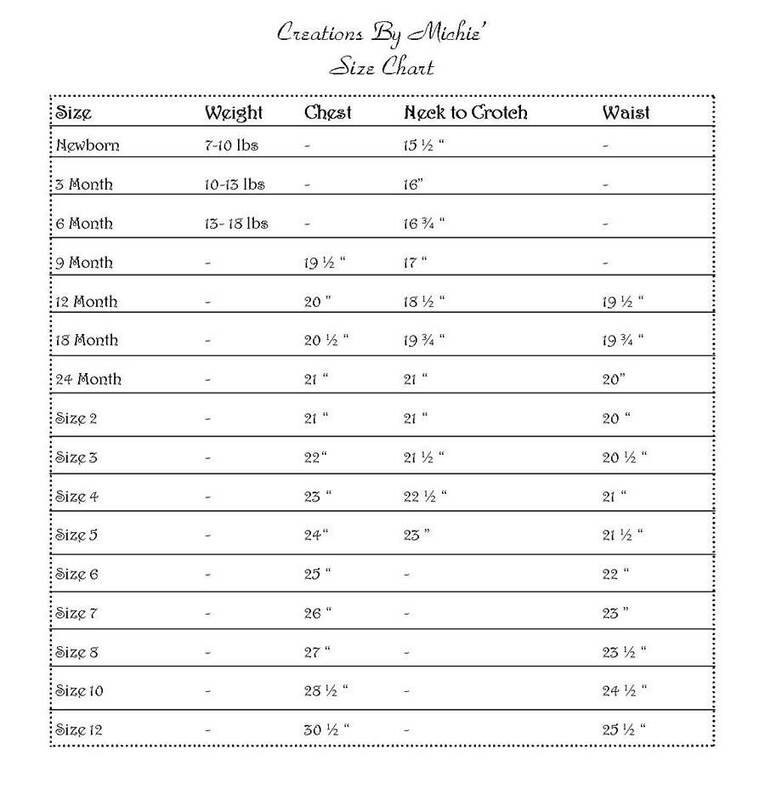 The pattern also includes two choices of collars, embroidery designs, and a smocking design.